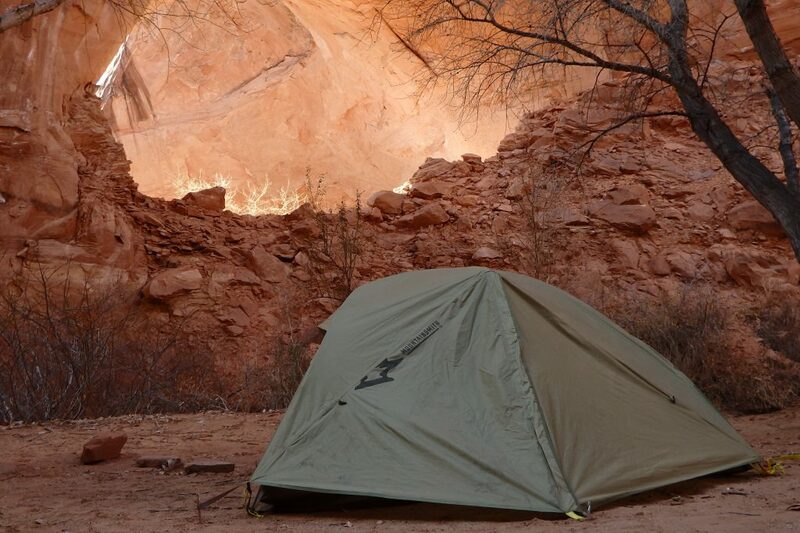 The Vasquez Peak 2 by Mountainsmith is a comfortable two-person design that allows camping in many climates. If you’re looking for a lightweight, breathable, and spacious two person tent, you have found your match! 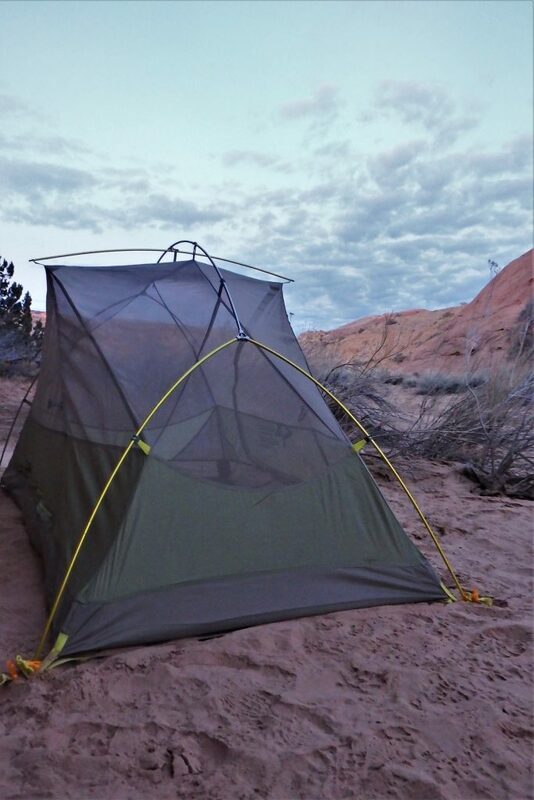 From the deserts of Utah to the mountains of Colorado, this 3-season tent will keep any backpacker content. In efforts to escape a frigid Minnesota winter, I took the Vasquez Peak 2 on a ten-day Arizona, Utah, and Colorado backpacking adventure. 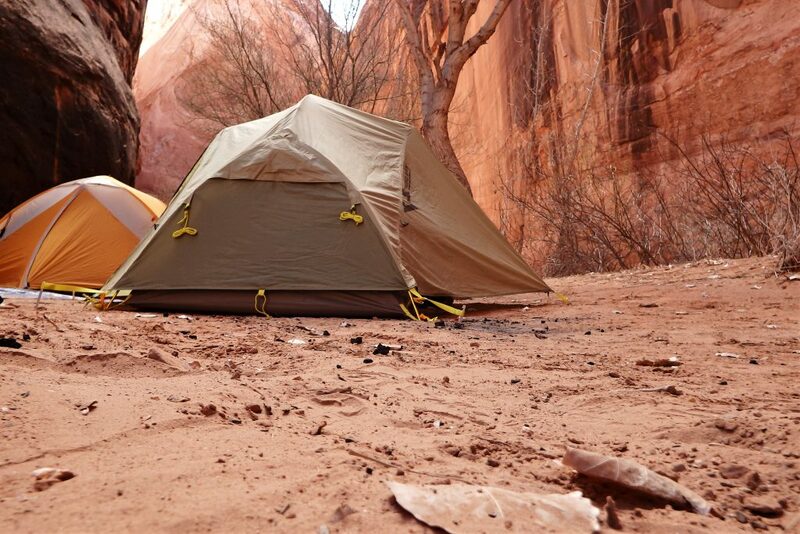 On desert nights in Utah, it was warm enough to sleep sans vestibule where this tent’s almost completely mesh body provided a wonderful star-viewing experience. This feature made me nervous, however, when Colorado blessed us with an overnight snowstorm. The vestibule tarp was put to a challenge…and passed with flying colors! 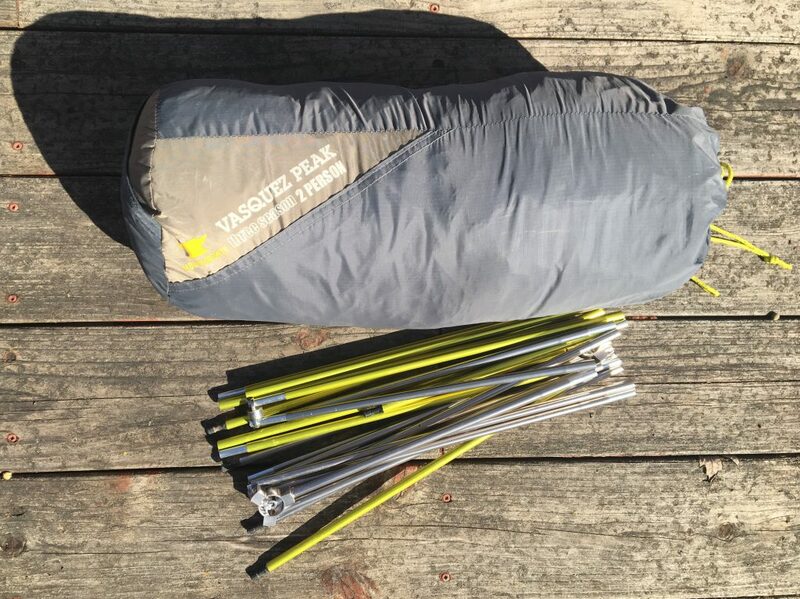 The Vasquez Peak 2 retained the body heat of my tentmate and I, and didn’t leak any water through during the night. The Vasquez Peak 2 provides a comfortable amount of sleeping space for two people, and could fit a third if occupants slept alternating head to toe. This tent also provides ample space lengthwise for those around my height of 5’3…and thus would also allow enough space for those much taller than myself to relax comfortably. The vestibule portions on either side of the tent are spacious and can fit two packs safely inside, or alternatively, two packs on one side and a canine sleeping space on the other! Provided with the tent is a durable footprint with buckles on all four corners that aid in securing the vestibule tarp. The vestibule tarp also has these buckles, and one can opt for this convenient 3lb option (which is great for backcountry camping!). 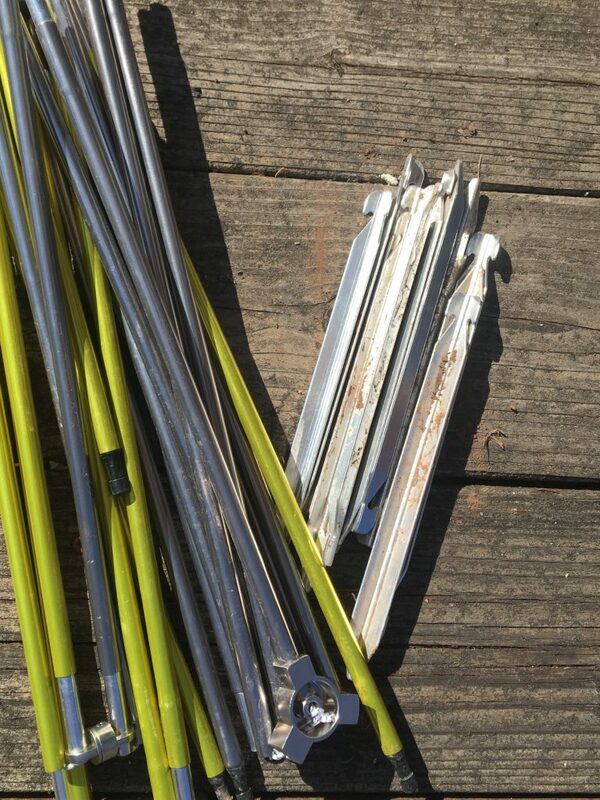 All of the tent poles are interconnected and setup is very quick; both the buckles and the poles are color coded (the yellow buckles and poles go on the same side). 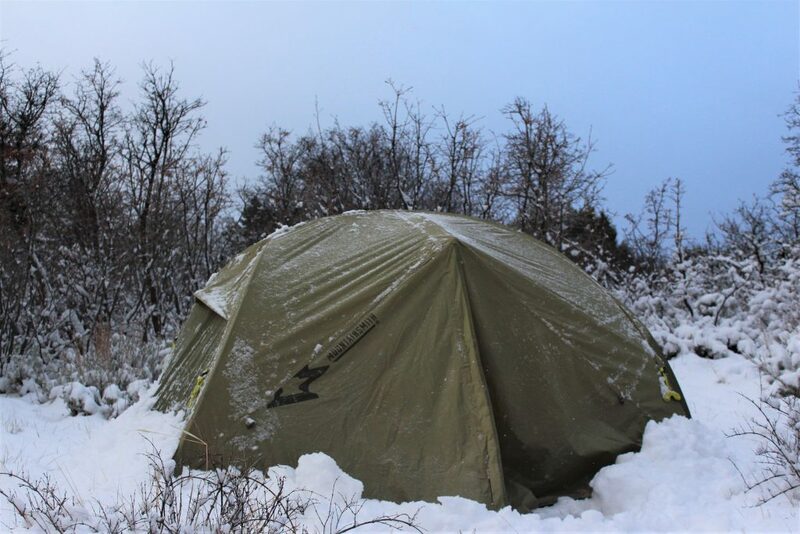 Three guy lines are also provided on the tent for use on significantly windy or rainy trips. Adaptability! 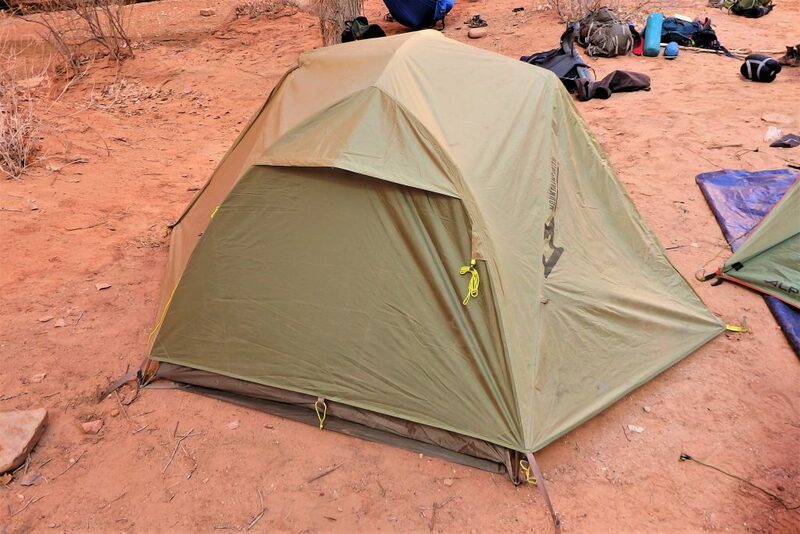 Though this is a three-season tent, it performed as well in an unexpected Colorado mountain snowstorm as it did in the warm deserts and canyons of Arizona and Utah. Convenience! The compact size and weight (4.5 lbs) are definite pros, as well it’s easy set-up and spaciousness when assembled. 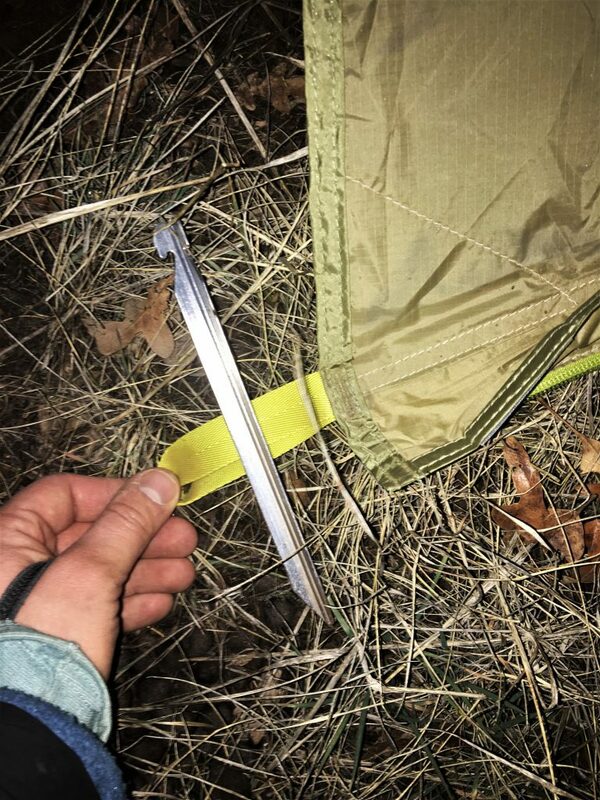 Provided stakes: the tops are not notched severely enough, so they must be placed very strategically in order to pin down the thick loops of the tent and tarp holds. Purchasing Mountainsmith V-stakes would be a worthwhile investment! Mesh doors: one needs to use both hands in order to zip or unzip. No overhead storage: this would be a beneficial addition and wouldn’t add any significant weight. 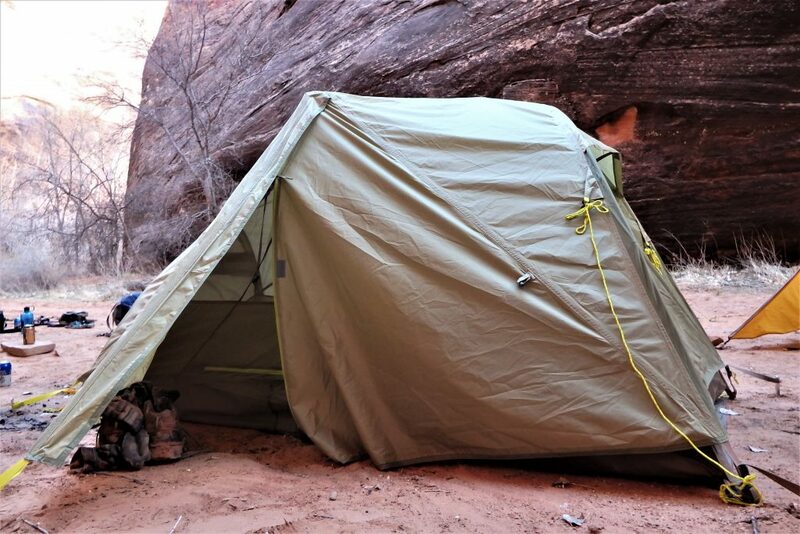 This is a great tent for many terrains. 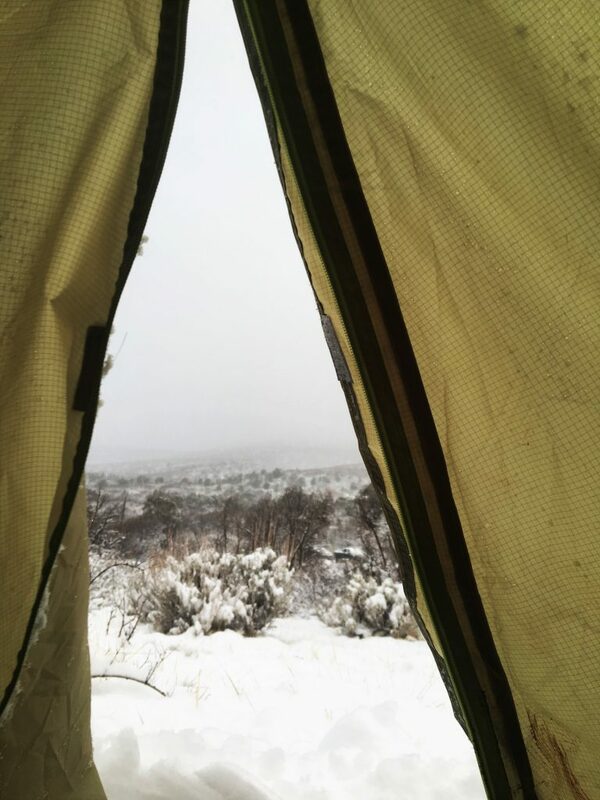 Compact, simple, and comfortable, the Vasquez Peak 2 will please any backpacker and keep them excited for their next night spent inside it. Shop the Mountainsmith Vasquez Peak 2 on Outdoor Prolink. Not a member? Apply today! Lily has worked for the grassroots non-profit organization, Save the Boundary Waters, for 1.5 years in their outreach department. She has also worked as a camp counselor at YMCA Camp du Nord in Northern Minnesota for two summers and will begin her first summer guiding for YMCA Camp in May 2018. 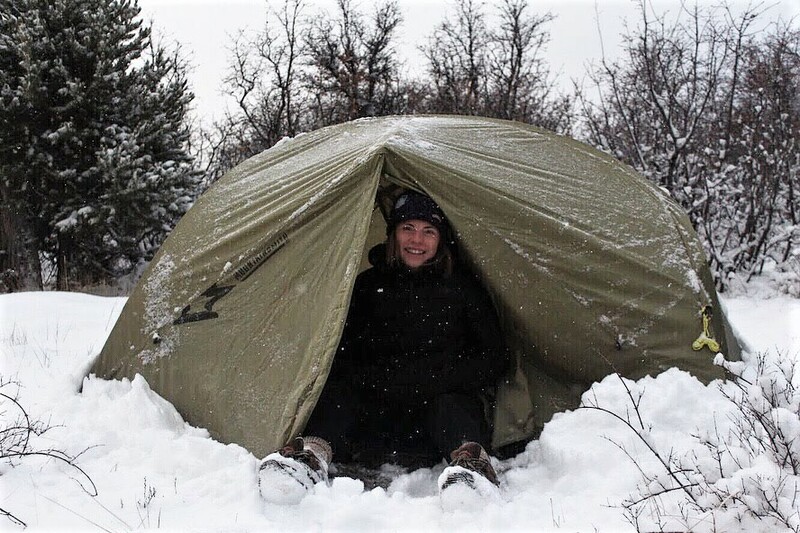 She is the President of Gophers for the BWCA, an environmental club at the University of Minnesota where she also studies Environmental Science, Policy, and Management with an emphasis in Education. When not working for or near the Boundary Waters, Lily enjoys playing Ultimate Frisbee, cooking, and adventuring in any place that she’s never been before. Very thorough and informative review! I want! Thanks for saying that! I know Lily really enjoyed this tent and will be using it a lot this summer. Let us know if yours works out!